Mr. Adabala Yedukondalu is a poor daily wages worker from Tirupathipuram near Tanuku in West Godavari district. He has been eking out his living with a single eye, having lost his left eye from a polio attack during his childhood. He is married and has a son and a daughter. Trouble however began when the right eye also developed infection. They visited a couple of nearby hospitals where he was diagnosed to be suffering from Microbial Keratitis (MK), a term used to describe various types of corneal infections. However, with help from relatives, they pooled in the required money and made their way to LVPEI Hyderabad, where their financial issue was promptly addressed by treating Mr Yedukondalu under the non-paying category. A therapeutic penetrating keratoplasty (TPK) was performed in the patient’s right eye by Dr. Muralidhar. But owing to the nature of the problem which resulted in repeated infection, the surgery too had to be repeated a number of times. Mrs Rajalakshmi however is grateful to LVPEI where they have been coming since the year 2008 that the surgeries were performed totally free of cost. She is full of gratitude for Dr. Muralidhar, Nagamani and Dr. Bhupesh Bagga including the Centre for Sight Enhancement (CSE) at the Institute which offered him and his family a railway concession certificate so that he could continue with his treatment. Mrs Rajalakshmi also referred other patients from their village to the institute who are all grateful to her for showing them such a great hospital. Having been cured of their own ailments, they all unanimously pray for her son to get well soon. The story is of a visually impaired young lad Mattaparthi Balasandeep who hails from a family of teachers from Ambajipeta in East Godavari district. Having been referred to LVPEI by doctors at the Kamaladevi Eye hospital in Amalapuram, Balasandeep was recommended to CSE (Centre for Sight Enhancement) by Dr.Subhadra Jalali and Dr.Avinash Pathengay. The Centre for Sight Enhancement is part of the Vision Rehabilitation Centre at LVPEI. It has a wide range of assistive devices that help the visually impaired make use of their residual vision to cope with their day-to-day chores. Balasandeep has been coming to the rehabilitation centre since 1998, right from the time he was in his third standard. He completed his 10th standard from Bandarlanka, and with help from the rehabilitation centre, also completed his B.Tech from the Godavari Institute of Technology in Amalapuram. He managed to write his B.Tech exams using assistive devices and sought the help of a scribe for drawing. Thanks to the rehabilitation services at LVPEI and, in particular, the one month training provided using an ‘electronic portable video magnifying device‘, Balasandeep was successful in getting a job with the Syndicate Bank. He was earlier using a magnifier which was of minimal help, but the new device has come as a blessing in disguise. Securing the new job with the bank was by no means a small achievement for Balasandeep given that he had been suffering from problems of visual impairment. A person with visual impairment may find it difficult or impossible to accomplish activities such as reading, writing, shopping, watching television, driving a car or recognizing faces as they have reduced vision, even when using the best possible corrective lenses. Visual impairment means that even with regular glasses, contact lenses, medicine or surgery the persons suffering from it find everyday tasks difficult to perform. 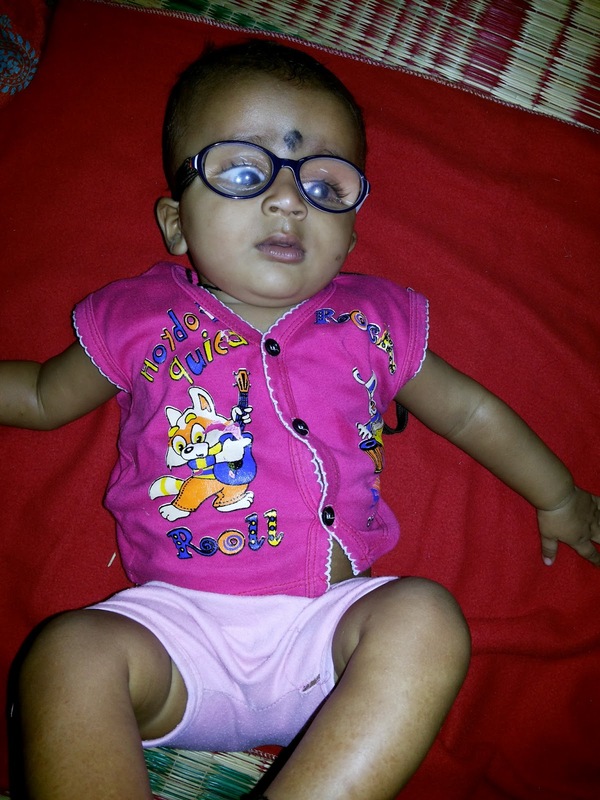 Balasandeep had vision problems right from birth, probably owing to premature birth in the seventh gestational month, according to his father. However, with Sandeep having secured a bank job, the proud father Mr. Rambabu, is happy for his son. The father says they were provided with a new device almost every time they visited LVPEI, but the latest one was of great help particularly in reading newspapers and magazines while preparing for the bank examination. This is the story of a family from Mahbubnagar district of Andhra Pradesh. The parents of a six month old male child – Baby of Sujata - were relieved to have reached LVPEI in Hyderabad. They had been in shock for over a fortnight after being told by a local doctor that their baby’s vision was extremely poor. The doctor referred them to LVPEI, as did every other doctor they had frantically consulted. When the retina specialist at LVPEI examined the baby, it was clear that he had been born with a problem in both eyes; the diagnosis was Familial Exudative Vitreoretinopathy (FEVR), a genetic disease affecting the growth and development of blood vessels in the retina of the eyes, that progresses throughout life and requires the patient to continue to be in the care of a vitreo-retinal surgeon lifelong. Dr Subhadra Jalali explained to the bewildered parents that even if their child had been operated upon right after birth, perhaps only very little vision could have been restored. Surgeries for tiny babies is always a hard experience for parents, more so in cases such as this one because the parents were aware that surgery would not restore 100% vision to their little one. Nevertheless, they put up a brave front as their baby had a cannula inserted on the back of his left palm, was anesthetized and operated upon, with the mother Sujata holding on to her baby’s hand through it all. It was a sobering moment when the baby was brought out to the in-patient ward with both his eyes patched; can some vision be restored for him? Another anxious week lapsed before the baby was brought in for a repeat eye examination. This time, the baby was wearing eye glasses as his mother cuddled him close, looking to the doctor to confirm what she already knew as her baby had begun turning his head in response to sounds and light. Dr Jalali confirmed that some ambulatory vision had been restored in the baby’s right eye. The cornerstone of this whole experience, as readily acknowledged by the parents, was the specialized pediatric retina clinic and the comprehensive Children’s Eye Care Centre with its trained Optometrists and state-of-the-art facilities. 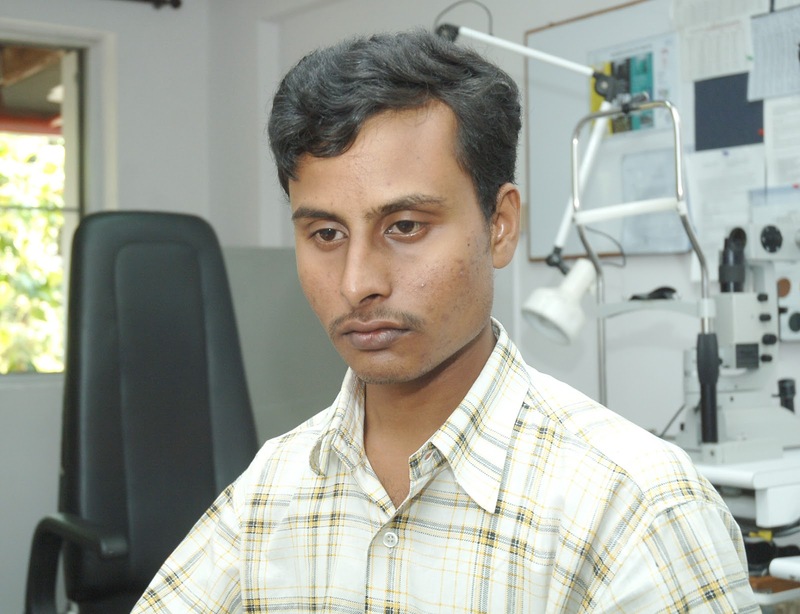 What was a definite advantage was the availability of both clinical and rehabilitative care in the same facility; the capable staff at the Dr P R K Prasad Vision Rehabilitation Centre complemented the retina team’s clinical care by sensitizing the young couple to the positive outcomes of early intervention in such children.